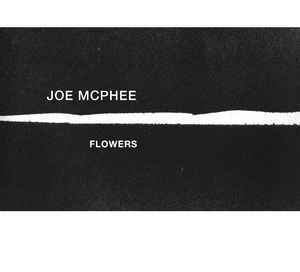 Joe McPhee's Flowers is the fifth release from the new progressive Portuguese label Cipsela. 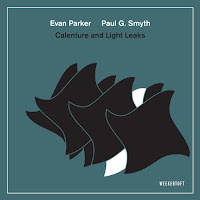 It is a solo alto saxophone performance, recorded in front of an audience in Coimbra, Portugal back in 2009. Why would a brand new revolutionary label release a recording of a seven-year-old performance? The real question is how did Joao Ferraz (engineer) and Marcelo dos Reis (mastering) manage to keep the documentation of this very special performance under wraps all this time? Beginning a piece for American painter Alton Pickens called “Eight Street and Avenue C,” McPhee clacks the keys of his alto. Then the slightest of tonal pops can be heard accompanying the clacking keys. This is followed by noteless breathing, after which McPhee returns to key clacking – but more rhythmic this time. A recurring four-note riff alternates with freer flights. 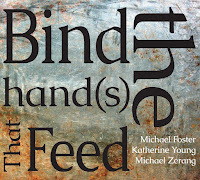 So beginning with the fingers, then the breath, then sound, then composition, followed by freedom, professor McPhee combines the various elements into a condensed audio syllabus for a course in automatic composition of the highest order. Two conventionally composed pieces follow. The first, “Old Eyes (For Ornette Coleman),” incorporates quotes from Coleman compositions over which McPhee adds his own harmonic components. The second, “Knox” was written for Jazz in Willisaw founder Niklaus Troxler, who also wrote the disc's liner notes. It is structured as a standard 12-bar blues piece but with surprises, especially when McPhee shouts into the horn unexpectedly. “I don't do water. I need scotch whisky.” These words are spoken by McPhee before he rips into the title track, an improvisation for the great John Tchicai. Exploring the tonal range of the alto as well as the width of dynamic possibilities, McPhee pulls all the stops for his fellow traveler. About “Old Eyes,” McPhee stated that “we have to give people their flowers while they're here.” As you know, since this concert took place we have experienced the devastating losses of both Tchicai and Coleman. On “The Whistler,” a piece for saxophonist Mark Whitecage, McPhee whistles (yes) a pensive melody, then repeats it on his alto. It's a very deliberate-but-subtle piece that is also a bit Zen. Additionally, I immediately had visions of some of my favorite Ozu films while listening to it for the first time. It's a bit odd, but very appropriate, that Ozu should come to mind. Roger Ebert once said about Ozu that he “is not only a great director but a great teacher, and after you know his films, a friend.” I feel similarly about McPhee. 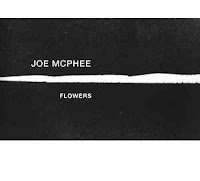 A listening session with Joe McPhee is typically a profound personal experience – and this disc is certainly another great representation. 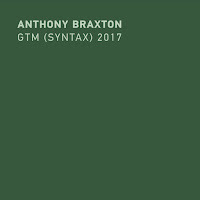 This is followed by “Third Circle (for Anthony Braxton),” on which McPhee quickly repeats a short flurry of notes using circular breathing techniques before making outward forays into the ether. There are bits near the end that sound like Warne Marsh as played by Sam Rivers, so there's that. I don't know what to make of it; but I like it nonetheless. “The Night Bird's Call (For Julian Hemphill)” begins with a hand-clapping rhythm. 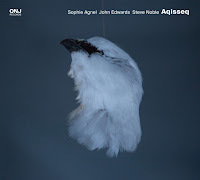 McPhee then transfers the rhythm to a very staccato melodic popping on the alto, sounding like a thumb piano! He then clacks the keys in time to somehow approximate the sound of an African shekere! It's an astonishing short piece that leaves you stunned – before you're leaping toward the Play button again. with my route through colourful Canadian country roads. Let's cherish Joe while he still gallivants among us. A remarkable review for yet another tremendous release by Cipsela. Everything musician and overall busy guy Dos Reis touches these days turns to gold. 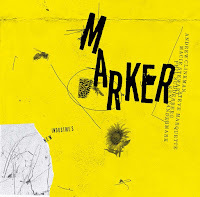 Listened to the sound clips on Bandcamp and had to order the cd. Really excited to hear the full album.